Chorley Council prepares for the build of Primrose Gardens. 04 Jul Chorley Council prepares for the build of Primrose Gardens. 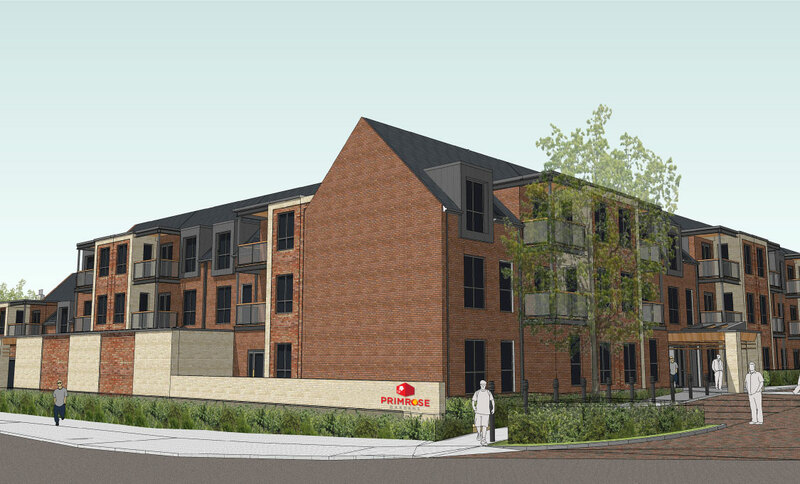 Chorley Council and construction partner Eric Wright are preparing for the development of Primrose Gardens Retirement Living which will see a multi-million investment come to life. Alongside the Youth Zone project and other town centre improvements, the £9 million Primrose Gardens development is dedicated to improving the local area by providing a unique space for local residents. Councillor Graham Dunn, portfolio officer for the project said: “Primrose Gardens Retirement Living is an exciting and innovative Chorley Council led, corporate strategy project which is part of the strategic masterplan for the town centre. The Extra Care living space differs to any other retirement or care home available locally as it provides a space where people aged 55 and over can live independently whilst also having access to help when needed. John Wilson, managing director of Eric Wright construction, said “The new development will see the construction of a 3 storey living space comprising 65 1 and 2 bedroom apartments, a shared quiet lounge, an overnight guest room, a pamper bathroom, a laundrette and a scooter and cycle store. Situated just outside the town centre on Fleet Street, Primrose Gardens aims to provide a modern, easy accessible and multifunctional space for its retired tenants. The development site has already been cleared and is ready for construction to begin on Monday 3 July 2017, with a proposed completion in spring 2019.